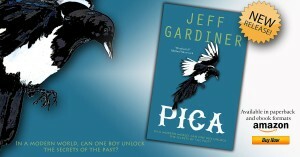 I’m delighted to welcome Jeff Gardiner to my site today to talk about his brand new novel, Pica, which is to be officially launched next week at the London Book Fair! Hi Jenny. Thanks for having me on your blog – I really appreciate it. I’m really excited about my new book Pica, published by Accent Press. The book is already out but it gets its official launch at the London Book Fair on April 12th. 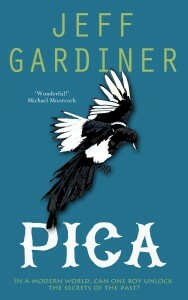 Pica is a novel about our relationship with the natural world. I’ve always been inspired by nature, wildlife and the great outdoors, and assumed that everyone feels the same way. It seems they don’t. We are in fact destroying our planet due to our consumerism, overpopulation, pollution and greed. Leonardo DiCaprio reminded us in his Oscar speech not to take planet Earth for granted. There’s lots in the news at the moment about deforestation occurring due to the over-reliance on palm oil. In the UK we are considering our membership of the European Union, and this may well affect future environmental policies, which probably need countries to work closely together. Early humans had a closer relationship with nature, animals and plants. What if we could rediscover that relationship in our modern world? Luke meets Guy who seems to have the ability to draw animals towards him. What is this strange boy’s secret? As Luke learns more, he realises that the natural world can unlock a special magic that gives people powers he could never have imagined. I was also keen to make this novel – the first in the Gaia trilogy – a fantasy. Fantasy literature allows us to use our imaginations in our understanding of reality. Luke discovers powers that many of us can only dream about, so there is also a sense of wish-fulfilment alongside the serious environmental message. The snake moved its head, flicked its long tongue over Guy’s hand and unbelievably slithered its head voluntarily over it, allowing him to lift its whole body off the ground. I couldn’t believe the size of it: it must have been about a metre long. “Grief! He’s a monster,” I said, aghast. “It’s a female,” Guy replied, matter-of-factly. I started to feel less nervous as Guy handled the creature like a pet. He tickled its throat and allowed the snake to dart its tongue all over his face. “Ah, it just licked my eye!” Guy giggled with delight. I looked on, stunned. The image before me of this odd, shy boy holding a massive snake made my head spin. What the hell was going on? “Can I hold her? I mean, do you think she’ll let me?” I couldn’t believe I was saying it. “Give it a try,” Guy slowly passed over the serpent. I tried to copy what he did. I placed one hand behind the snake’s eyes and put the other hand under the heaviest part of its body. It wasn’t slimy at all. Its skin was smooth and silky. It shifted and I could feel the tightening of muscles as it moved. I got concerned when the snake began to thrash about as if struggling to escape my grip, and I had visions of giant fangs engulfing my face and of venom being stabbed into my eyes, when the creature suddenly went limp and fell from my arms into an inert pile on the floor. I looked at Guy who was studying me intently. I expected him to attack me and accuse me of murder, when I realised he was holding his stomach with laughter. Without questioning him, I bent down and took in a big whiff. Big mistake. The snake smelt worse than a stink bomb. 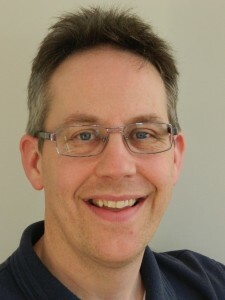 Many thanks for such a great blog Jeff. Thanks for hosting me – it was fun.